As regular readers of this blog will know, Pontydysgu were members of a consortium in a project called EmployID, funded by the European Commission. The project focused on changing work identities in Public Employment services and how technology could be used to support Continuing Professional Development, including both formal learning and informal learning. All too often such project produce a series of fairly unintelligible reports before they face away. We were determined not to replicate this pattern. Instead of producing a series of annual reports for the EU based on different project work packages, for three years of the project we produced an an unified annual report in the form of an ebook. And the EmployId Consultancy Network , formed out of the project has now produced a short book, designed for individuals and organisations interested in organisational transformations, changing identities and learning. The EmployId Consultancy Network is a network of researchers, practitioners and trainers offering tailored services for solutions around facilitating staff development with the focus on professional identity transformation (among them are myself, Luis Manuel Artiles Martinez, Pablo Franzolini, Deirdre Hughes, Christine Kunzmann, John Marsh, Andreas P. Schmidt, Jordi Fernández Vélez, Ranko Markus, Karin Trier, Katarina Ćurković and Adrijana Derossi). The world of work is undergoing fundamental transformations. 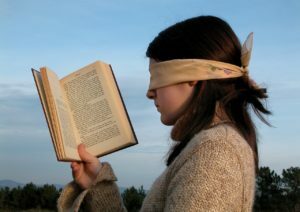 For example, nurses have mostly chosen their job because they want to care for their patients, but their work now involves, to a large degree, computer-based documentation and quality assurance measures. Practitioners in public employment services turn from administrating unemployment benefits into coaches for their clients. And engineers need to make sense of large scale sensor data and assess the opportunities of artificial intelligence techniques for their companies’ future services.We see technological developments such as digitization and automation in an ever increasing number of sectors and intensity. Are you embracing and shaping the change or are you being driven by it? Companies and public sector organisations have to reshape their value creation processes and guide their employees to new job roles, creating an uncertain outlook. Ask yourself are you embracing and shaping change, or are you being driven by it? The ability to utilise modern technologies and methods is simply scratching the surface. Overcoming resistance to change, stressful conflicts, and lack of openness are major road blocks. We also need to look at a deeper level of learning. Employees need to rethink their job roles, their relationship to others, and what a successful working environment means to them. This indicates the importance of the professional identity of individuals and occupational groups. Employees are often not given opportunities to engage in reflective learning conversations. There is a need for workers to consider the emotional aspects of their work and identity. It is important that they also acquire the skills needed to work effectively with others to move from a problem focus to a solution focus and help each other in their learning process. 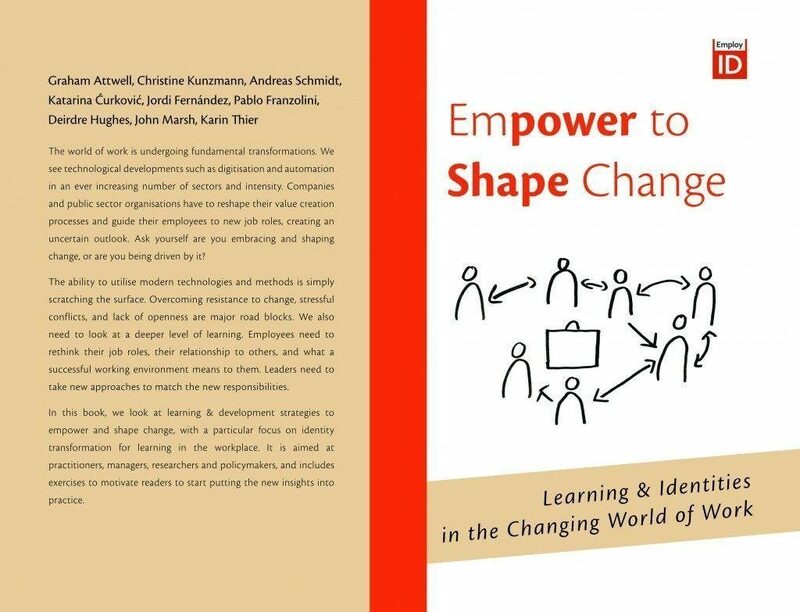 In this short book, we look at strategies to empower and shape change, including the role of technology and identity transformation for learning in the workplace.The contents of this book follow a deliberate path focusing on contemporary themes. It is aimed at practitioners, managers, researchers and policymakers. You can download a free PDF copy of the book here. Or you can order the paperback version on Amazon for Euro 14.40.
three core threads are woven throughout this critical discussion about what it means to be digitally literate in the 21st Century. Firstly, the definition of literacy in whatever form is inherently political. Secondly, the digital literacies movement is complex and most efforts to propose definitions and develop related models and frameworks are disconnected from wider socio-political debates and underestimate the importance of the situated nature of educational practice. Lastly, most models and frameworks for digital skills, literacies or competencies fail to adequately address some of the powerful macro-level forces, drivers and entangled and contradictory discourses associated with the goal of preparing more digitally skilled learners, workers and citizens. Im looking forward to teh next two parts. Here are the slides from a presentation I gave at the Bundeswehr BildungsKongress In Hamburg last autumn. The theme of session was Industry 4.0. I think the ideas we have developed on identity transformation in the EmployID project which fosused on work with Public Employment services meet the challenges being posed by German Vocational Educati0n and Training researchers aorund moves towards Industry 4.0. “Industry 4.0 is a name for the current trend of automation and data exchange in manufacturing technologies. It includes cyber-physical systems, the Internet of things, cloud computing and cognitive computing. In other words – pretty much everything going on in technology today. But the particularly German take on it is how such developments will effect manufacturing and services and what it implies for education and training. I was a bit concerned with how the presentation would work -given that it is based on research and development in the Public Employment Services. But it seemed to work extremely well. It is not so much the threat to jobs coming from new technologies and AI, but the impact this is having on the organisation of work and the skills and competences required in the workplace. Professional identity, is a key factor in developing resilience in a world characterised by uncertainty. It empowers individuals, and determines motivation and openness to new developments – and overcomes obstructionism and frustration often associated with change processes. Identity transformation describes the processes through which people can change their professional identity to deal with new work demands. Even more it describes how individuals and groups of people can themselves use their competence and skills to shape the processes and results of introducing new technologies. The first half of the presentation looks at the research behind identity transformation, the second half at different activities and intervention we have undertaken in the Employ-ID project to support identity transformation for staff in Public Employment services in Europe. Posted in Digital Identities, learning Analytics, Multimedia | Comments Off on Intersections or Contradictions? David Harvey does not shy away from the politics of Karl Marx. But his focus is on Marx’s writings and ideas as a tool for social science and analysis. For those of you without the time, interest or patience to listen to the whole video the particular bits I found interesting include his ideas around rational consumption (about 30 minutes in), the idea of accumulation by dispossession (some 38 minutes in), the idea of management of the ommons important (after about 47 minutes) and contradictions over the role of the state (towards the end of the lecture and before the discussion). Much of David Harvey;s work has been in the area of urban development and housing and he explains how this contradiction applies there and its implications. But it may also be a useful explanation of understanding what is happening with social networks. Social networks have a use value for us all in allowing us to stay in touch with friends, develop personal learning networks, learn about new ideas or just letting off steam to anyone who will listen. OK – the exchange value is not expressed as a money price. But most people now realise that social networking applications are seldom free. Instead of paying money we give our data away for them to use. And in turn they use this data to try to extract money from us through buying commodities. This is all fine as long as the use value exceeds the exchange value. But as social network providers try to monetise their products they are constantly upping the ante in terms of exchange value. In other words we are increasingly being required to sign over our data as well as our privacy in order to use their applications. All this means more and more people are questioning whether the use value of Facebook and Twitter is worth the exchange value. And such contradictions are hard to resolve! Higher Education is not a provider of content but rather a source of cultural capital says Cristina Costa in this engaging 50 slide romp through digital theory and practice. I have always liked David White’s ideas about digital visitors and residents. And in the training sessions we run we find an increasing individual differentiation in people;s confidence and competence in using digital technologies. In this video David White (@daveowhite, http://twitter.com/daveowhite) of the University of Oxford explains how the Visitors and Residents model provides a framework to understand individuals’ engagement with the Web based on motivation and context. In part 1 of this series, he argues that the metaphors of ‘place’ and ‘tool’ best represent the use of technology in contemporary society and allow us to better adapt to the challenges of new forms of academic practice.